CoinOpCollectorForum.com • View topic - Ford gumball machine with blank plates? 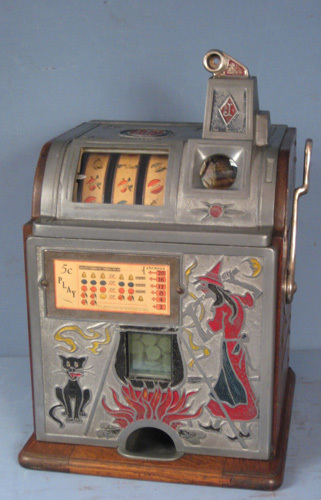 Hi all, just lurking and learning, I have a couple old gumball machines and one of them I am puzzled with. This Ford machine has blank plates on it, the gentleman I bought the machines & other things from said he bought it new for his store long ago and never used it. The coin plate looks like there is a serial # stamped on the reverse side because you can faintly see it through the metal, but the side facing up is blank. The bigger plate that would normally say Ford is blank. The lock is riveted and is a low-security type lock that has Made In USA cast into it. What in the world do I have here?